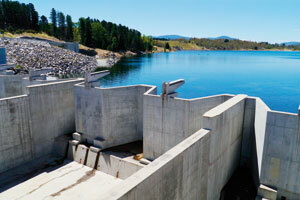 Managing Australia’s water infrastructure is vital to avoiding disaster. 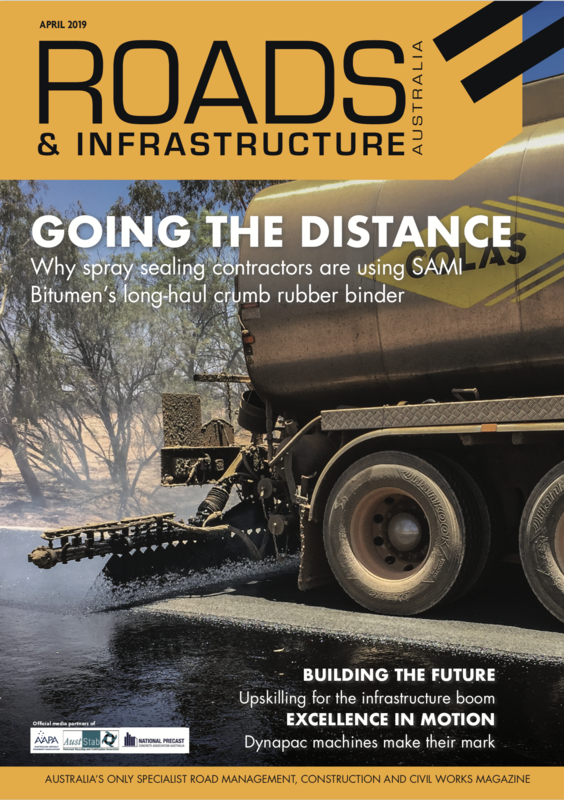 Professor Simon Beecham talks to Roads & Infrastructure Magazine about building drought and flood resilience through infrastructure. Australia is Earth’s driest inhabited continent and the most sparsely populated. As most of the population lives close to the coast in major cities, managing water infrastructure effectively can be a difficult task. Drought is common in the sunburnt country, with multiple events taking place throughout the 20th Century, including a drought that lasted through the Second World War and another in the 1983 Ash Wednesday Bushfires. The Millennium drought most recently affected Australia’s major cities for more than a decade, ending in 2011. Professor Simon Beecham, Pro Vice-Chancellor of IT, Engineering and the Environment divisional office at the University of South Australia, says Australia faces unique challenges when it comes to water infrastructure. “With a growing population dependent upon a scarce resource, ensuring the infrastructure is there to sustain the population is vital,” he says. “Many governments were forced into building desalination plants thanks to the Millennium drought. We came close to running out of water during the drought, which was a wake-up call. “Brisbane almost ran out of water entirely. Nothing breaks an economy faster than having to cart water in to sustain a population of millions,” he says. South Africa is an example of a country that is nearing that point. The city of Cape Town is planning for Day Zero, a day when water levels have reached a point where water is no longer available from the taps. While Day Zero has been pushed back to 2019, Cape Town’s dams are currently only at 23 per cent capacity, according to the city, with residents limited to using 50 litres of water per day. Dr. Beecham says when cynics call desalination plants a waste of time, they’re ignoring the vital need to look elsewhere for water before the situation becomes a crisis. “Desalination plants in Australia were the first pieces of infrastructure that targeted a different water supply. Beforehand, water levels were reliant on rainwater catchments and groundwater. 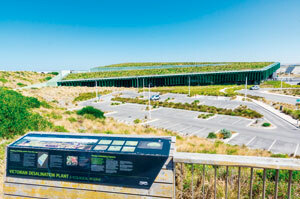 Each major city now has a desalination plant, two in Perth’s case,” he says. The technology currently used by desalination plants is a method called reverse osmosis. Dr. Beecham explains that this method requires sea water to be pumped through membranes at very high pressures, which require significant amounts of energy. However, the technology is still undergoing further research and development. “The costs of energy will decrease as renewable energies become more popular. As the costs of energy comes down, so will the costs of desalination. What was once considered advanced at its time will eventually be replaced with more efficient versions,” Dr. Beecham explains. Droughts are here to stay in Australia, according to Dr. Beecham. He says one of the ways to build drought resilience is to change the way Australians approach water. “In the large cities, there is an expectation for high quality drinking water from any of the taps in a standard household. The average person uses around 200 litres of water a day, though they only drink around two to three litres of that,” Dr. Beecham says. Dr. Beecham says that Australia needs to be more sensitive to the impacts of climate change when it comes to water. “Floods are on the other end of the extreme rain weather event spectrum. Australia’s infrastructure needs to be able to account for both. For example, some of Sydney’s large dams like the Warragamba dam serve as both sufficient water storage reservoirs and can act as flood control devices,” he says. He points to China’s innovation in this space and its sponge city initiatives, which have paved the streets with greenery and ecologically friendly alternatives to traditional drainage systems. With concrete blocking water from being drained, permeable pavements, rain gardens and other natural drainage systems provide more greenery and flood resistance. Dr. Beecham says while this system may not work in Australia due to the continent’s unique relationship with water, providing clever multifunctional solutions is the best way forward. “There are issues we are currently facing when it comes to this. For example, the current Murray Darling disputes over water allocations,” he says. Dr. Beecham has authored a software system called Syfon which has been used in large scale buildings like the MCG, Sydney Airport, Adelaide Oval and the Royal Adelaide Hospital. The system manages the drain pipes to ensure the maximum amount of water is captured on large scale buildings. “If you were to harvest 100 per cent of the water on your typical house, you would need at a minimum, two catchment tanks. For large scale infrastructure, that’s just not feasible, as you would need tanks every 30 metres,” he explains. Dr. Beecham says that this water can be used for purposes like flushing toilets or gardening which aren’t required to meet the same standards of drinking water. He adds that water supply, stormwater and wastewater are ultimately the same when considering the hydrological cycle.